Poland is a country in Eastern Europe located on the Baltic Sea. Relocating here will open your eyes to diverse cultures that influenced it from long years of invasion by Russia and Germany. In 1990, Poland became an independent country and finally opened its curtains for the world to witness its beauty. As you walk the city centre, you will find yourself surrounded by magnificent bodies of water and vast luscious green plains on the north. 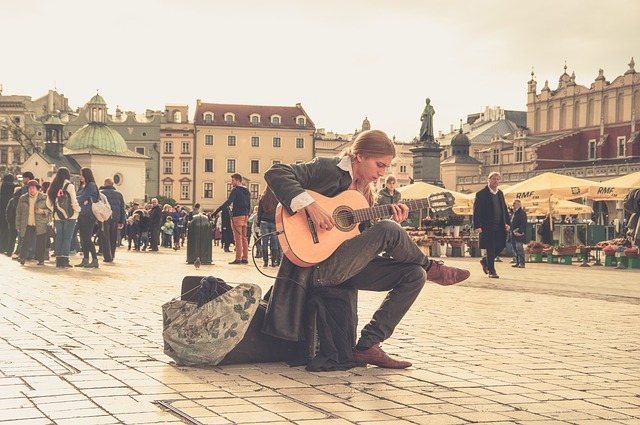 Poland's lifestyle is similar to most European countries; however, Poland is significantly cheaper than most countries in Europe, making the standard living of expats in the country quite good. 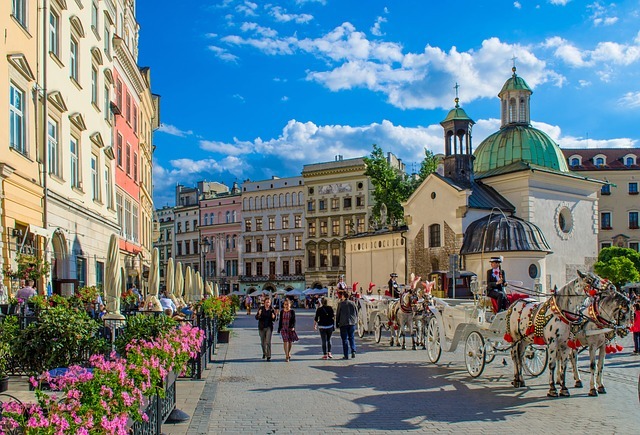 Poland is also one of the most interesting countries you can visit in Europe, and despite common misconceptions, Polish people are actually very friendly and accommodating to foreigners. There are so many wonderful things, as well as some not so wonderful things you need to know before moving to Poland. Allow us to assist you by providing some much needed advice below. As a member of the EU, Poland has lenient immigration policies for other EU members. All foreigners from the EU can freely enter, work, and live in Poland. Non-EU foreigners can get a work permit through a Polish employer. The employer will then have to process the application to the Voivod Office where the employer’s company is registered. It’s worth noting that even though the process for a work permit application is straight-forward, it’s not easy. The Voivod office will only grant a work permit to foreigners if the employers can provide proof that there are no Polish candidates suitable for the position. So unless, it’s for a highly specialised work, or you’re being transferred by your company, it’s not very easy to find a job in Poland. Salaries in Poland are quite low compared to other countries in Europe, especially other EU members, which is why so many Polish nationals choose to live in other EU countries than stay in Poland. Taxes are also a bit high in Poland as it makes up more than 30% of the country’s GDP. Good jobs with relatively higher salaries can be found in the more commercial cities, such as Warsaw, Krakow, and Gdansk. The Ministry of Labour has announced that the monthly minimum wage in Poland for full-time employees is PLN 1,850 gross starting January 1st 2016. However, the cost of living in Poland is quite low compared to other EU countries as well, which means that the purchasing power an expat can have in Poland is higher than the rest of the countries in Europe. Poland ranks 12th out of 50 in Time Magazine’s 50 Cheapest Countries to Live, published February of 2016. Poland is one of the oldest countries in Europe with a very rich culture, history, and tradition, therefore, they have quite a lot of national days to remember and celebrate. Most holidays are related to religion, as the Poles are very traditional and religious. They celebrate a total of 13 official national days a year, not counting famous traditions and festivals such as the All Saints Day, where Poles visit their deceased loved ones and decorate their graves on the 1st of November. Health and protection services can be provided by the government, if you are employed or if you are a dependent of an employed person. Otherwise, healthcare is not free and not cheap. It is a requirement for foreigners to have a travel health insurance before entering Poland, and it is advisable for expats in the country to get international health insurance as the medical costs in the country can be quite expensive. The medical care and facilities are also not of the highest quality in Poland, which is why people who can afford it tend to seek medical treatments outside Poland in nearby countries with better facilities such as Germany or Czech Republic. Poland is an old country with a history that can be traced way back to the Middle Ages. With this long and rich history come a very long standing and colourful culture and tradition. 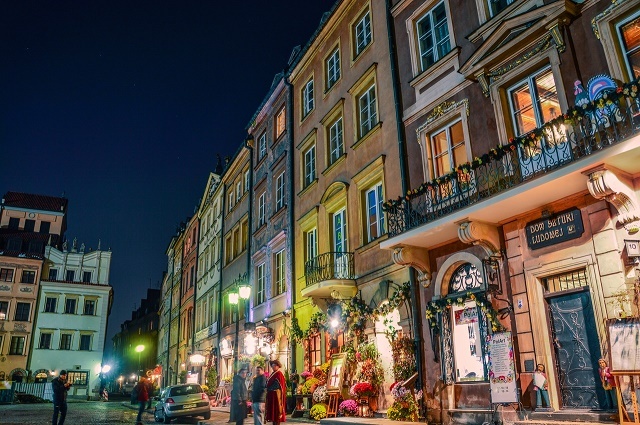 The architecture in Poland reflects its long history with a wide spectrum of different European architecture styles, from Roman, Gothic, Baroque, Rococo, up to modernist. Even after World War II several old buildings and landmarks survived in the country. Cities like Warsaw and Gdansk have some of the best architecture in the country. If you need another famous name in that list, Marie Curie, the first woman to win the Nobel Prize for two different sciences, namely Physics and Chemistry, was originally Polish before she became a naturalised French citizen. Most Polish are religious Catholics who view Christmas as the most important holiday. "Dzielenie oplatkiem," a highlight of this season, is the practice of breaking and sharing a thin white wafer while people express their wishes for everyone. Although this is performed only once a year, it is deeply ingrained in the Polish culture. The country has greatly preserved Europe’s primaeval forest, the Puszcza Bialowieska (Bialowieza Forest). It is also the home of the European Bisons that roam freely in the Bialowieza Forest; it’s the only species in the world that has been saved by regeneration breeding. Home of the famous Kielbasa sausage and the notorious Polish Vodka, the local food in Poland is anything but ordinary, and it is definitely captivating. From a variety of cheese and sausages to traditional dishes, like the Pierogi, an Eastern European favourite, Poland’s cuisine is an adventure unlike any other cuisine in Europe. 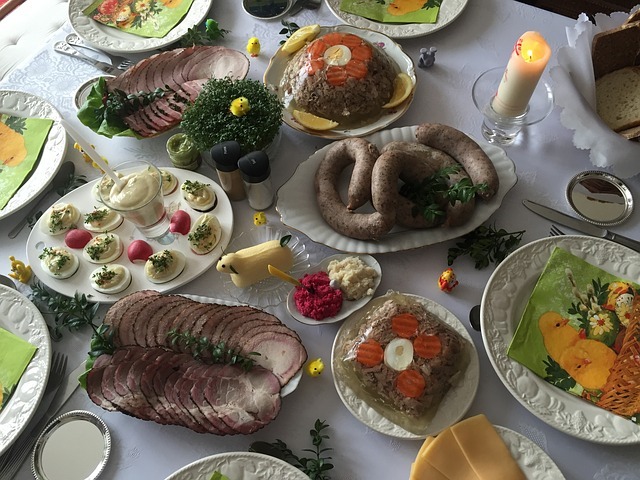 Chances are, you haven’t heard of most of these dishes unless you’re from Eastern Europe yourself, but these heart-warming dishes, which usually feature traditional methods of cooking, a wide range of vegetables, bread, and meat are the perfect merge of Eastern and Central European cuisine. Food in Poland is more than enough reason for some people to stay. Polish people are quite interesting, and they are very friendly to foreigners. Locals will gladly chat with you and help you when you need it wherever you may be. The Polish are known throughout Europe as kind-hearted people despite their often stern appearances. Most expats would tell you that the best way to make friends is simply by sitting at a bar. Locals are friendly enough to strike a conversation up in public places. The official language of Poland is Polish, but most people can speak English, especially its younger citizens, so you wouldn’t have much trouble getting by, although, locals really appreciate it if you try to learn Polish, even through the use of common phrases for day-to-day activities. The Polish has a strong familial attitude, and take joy in the company of extended families. In fact, one's social network in Poland typically consists of family members while friends or non-relatives can only come second. This makes them very close-knit and sometimes territorial. Yes, that’s right. Milk Bars or “Bar mleczny” in Poland are not literally bars that serve milk, but rather, they are local cafeterias that serve traditional Polish dishes for cheap. Milk bars are the usual restaurants that workers frequent for lunch on a regular work day. Milk bars gained prominence during economic depression and World War II in Poland. But know that you will regret it. Most people rush the stores to buy food and gifts or whatever they need for the holiday on the holiday itself. Queues can last for about 30 minutes to an hour and you might get into fights over a can of beans. It’s totally a local thing to do, but you should know better and just shop before the holidays. Poland is also known for being quite unpredictable, primarily because it is a country known for its wealth of biological life. Its green campaigns are famous especially for eco-friendly tourists and expats who can’t get over the country’s successful exploits as nature’s defenders, so don’t be surprised if you happen to be riding the train with a horse or a goat. With all the important things in your mind, it will be easier for you to contact a shipping and removal company that can help you in bringing your belongings to Poland. They provided door to door service where they will facilitate the whole moving process until your packages are safely delivered to your new home. The average transit time to the Port of Gdansk is 11-16 business days, depending on your country of origin. Once the containers arrive, local customs officers will conduct an inspection of the cargos. For more information about Poland’s import regulations, go to this guide. All pets entering Poland should have a microchip as a form of identification and rabies vaccination 21 days before import. If your pet is coming from an EU country, you must make sure that its Pet Passport is updated. An Annex IV Form for Poland should be issued ten days before entry by a licensed veterinarian for domestic animals from non-EU states. Despite Poland’s turbulent history, it rose unscathed and remained a pleasant country. You will find yourself living in a nation blessed with cheerful communities and friendly locals.